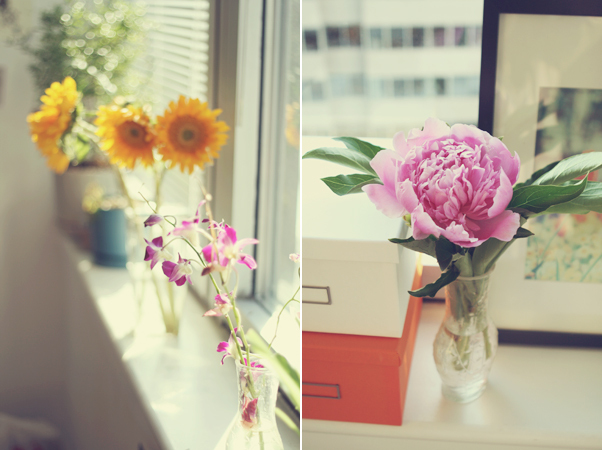 It's been a while since I've had fresh flowers in my room, but it's always fun to re-process some oldies. 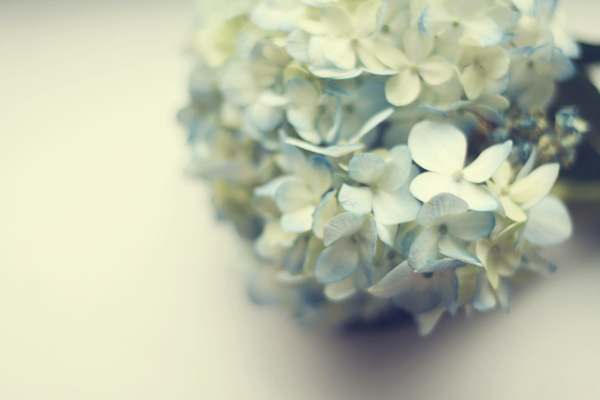 Hydrangeas aren't on my short-list of favorite flowers, but I do love the creamy clean feeling about them. And they'd make perfect centerpieces on a nice sleek glass coffee table that I don't have :P.
Sunflowers from graduation, the orchids that lived for longer than I can remember, and the first peonies of this year. Definitely about time I get some new colorful blooms for my room! It's too bad my favorites are out of season. that first photo is incredibly beautiful. i rarely have fresh flowers in the house because of the cats, but you've inspired me to try and change that! so gorgeous. i adore having fresh flowers in my room. although it doesn't happen often, as i leave the flowers in the vase too long and it gets all nasty and i hate cleaning it out. heh. it's so lovely to have fresh flowers at home, isn't it. we have them all the time, and I love it.